Shop Rode NT1-A Vocal Condenser Microphone from AMS with 0% Interest Payment Plans and Free Shipping. 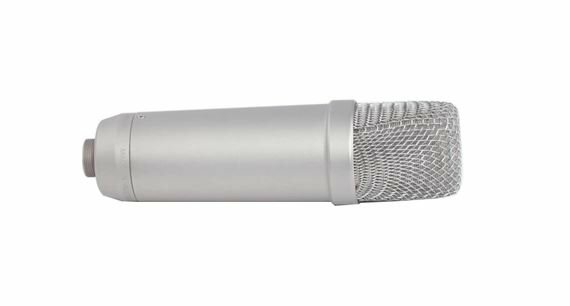 Delivering warmth, extended dynamic range, incredible clarity and high SPL capability, the Rode NT1-A has become the industry standard cost-effective mic that can go up against some of the world’s most expensive mics! 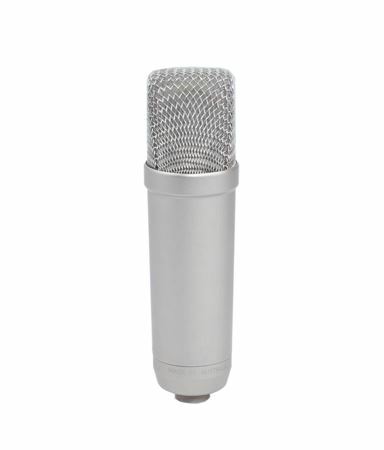 If you need a do-it-all mic for your studio and don’t want to break the bank, look no further. 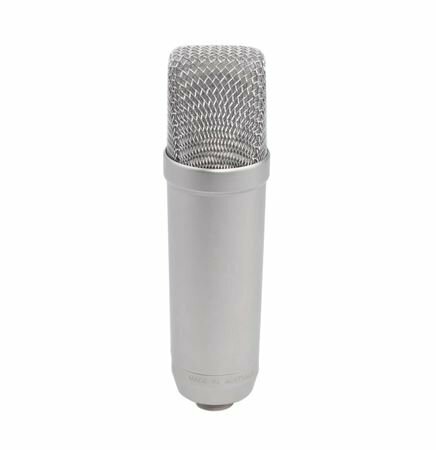 With a self-noise level of only 5dBA it is widely recognized (along with the NT1) as one the world's quietest studio microphones. This low noise makes it an ideal for vocal microphone as well as perfect for recording guitars and percussion. 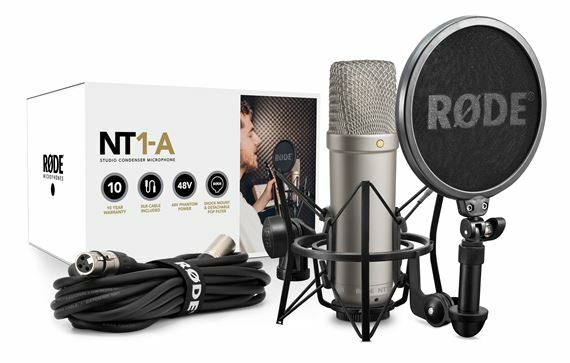 The NT1-A includes everything you need to get a truly professional vocal recording including a studio grade pop shield and shock mount, premium 20' mic cable, dust cover, and an instructional DVD packed with recording tips. 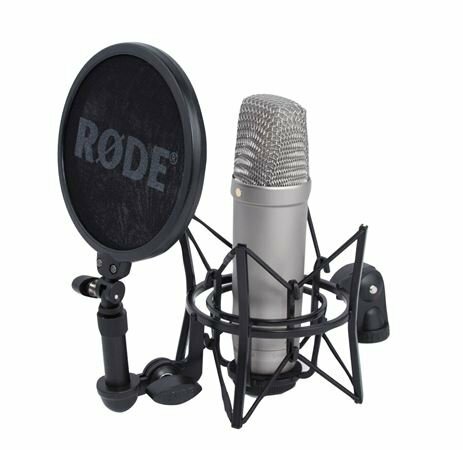 The Rode NT1-A large diaphragm 1-inch cardioid condenser microphone is designed and made in Australia, and covered by Rode Microphones' industry leading 10 year warranty. BEST BEGINNER HOME STUDIO MIC!!! 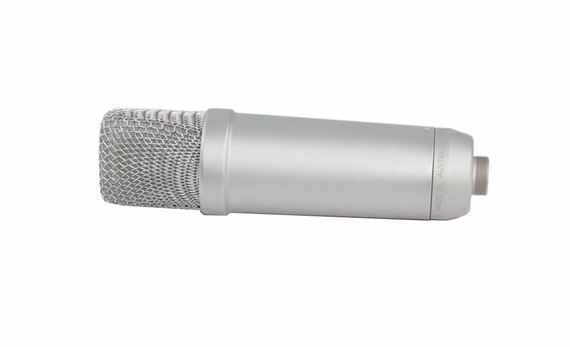 I decided to give this mic a try because I wasn’t happy with my Blue Bottle SL which is even more expensive than this NT1 Rode started kit, and I felt in love with it automatically. First of my voice isn’t commercial and I don’t have that much highs on my vocals, but this mic can bring the highs on my vocals without any effects added, NOW that was a game changer for me. Also this kit comes with everything you gonna need which majority of mics won’t have your mic pop filter, the arm etc. So this mic is everything a NEW HOME STUDIO PRODUCER OR ARTITS NEEDS!! Hands down. This condenser microphone has been compared to the high ends mics like; The Neumann’s so when I tell you this is all you need for now and until it stops working, I mean it!! This mic should be in every home studio and even professional studios as well. I will definitely continue to recommend this mic to everyone. Good solid mic. Everything you need to get your studio going. Worth every dollar. The highs are so crisp. Im not used to hearing those frequencies. Overall quality is amazing though.